Tatas-owned British subsidiary Jaguar Land Rover would launch a number of fuel-efficient sports cars in the next two years, group Chairman Ratan Tata has said. 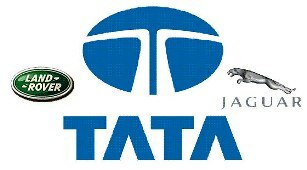 In Tata Motors' Annual Report for 2011-12, Tata said Jaguar Land Rover was developing higher-powered and more fuel-efficient engines to attract more customers. "The company has undertaken its most ambitious product development programme in its history and will be launching several new sports sedans and sports cars in the next two years in order to provide dealers with a more competitive and wider product range," he added. Face-lifts and new models of the Range Rover as well as a competitively-priced new line of 'rugged, lifestyle vehicles under the Land Rover brand are also scheduled to be launched,' Tata said. He, however, did not share details such as how many new models will hit the roads or how many will be under each of the two brands -- Jaguar and Land Rover. JLR had earlier announced to roll out 40 new products in the next 4-5 years. Talking about JLR's performance, Tata said: "Jaguar Land Rover's operations have shown impressive growth in sales and profitability. per cent respectively in value and volume over the previous year." The company is currently considering to set up a newmanufacturing facilities in China to meet market demand for the two luxury brands in the region, he added. For 2011-12 fiscal, JLR's profit after tax stood at 1,481 million pounds (over Rs 12,900 crore) against 1,036 million pounds (over Rs 9,020 crore) in FY'11, up 42.95 per cent. Its revenue went up by 36.89 per cent to 13,512 million pounds (over Rs 1,17,800 crore) from 9,871 million pounds (over Rs 86,020 crore) in the previous fiscal. Earlier in March, JLR had said it would invest 3.5 billion yuan (over Rs 2,800 crore then) in its recently-announced joint venture with Chery Automobile in China to commence local assembly there. The company is currently investing 355 million pounds in an engine plant in the UK. It also planning to set up an engine manufacturing facility in India. In April 2011, JLR had said it would invest 1.5 billion pounds every year for the next five years, mainly on product development as it looks to catch up with global luxury car makers and position itself as a top premium brand. JLR had also raised 500 million pound (over Rs 4,000 crore) in March this year through issue of bonds.